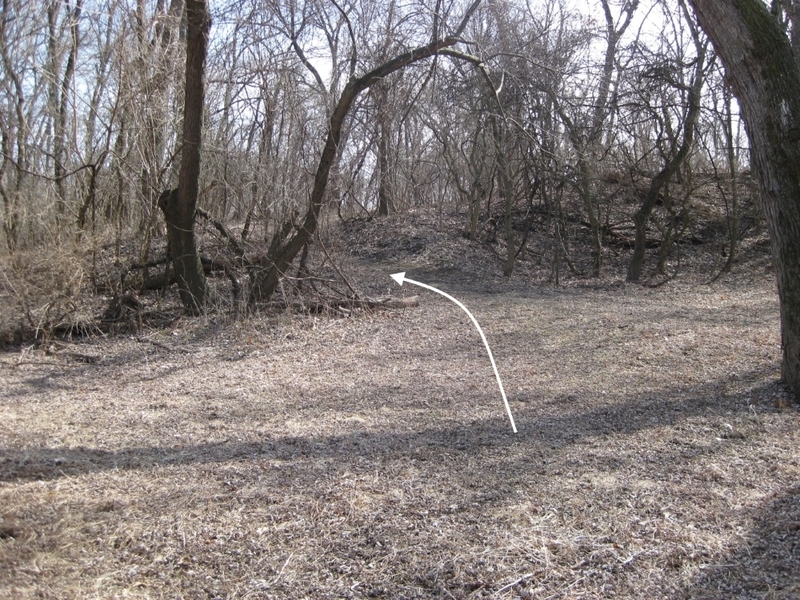 This tour stop is on the west bank of the Big Blue River where Byram’s Ford crossed. 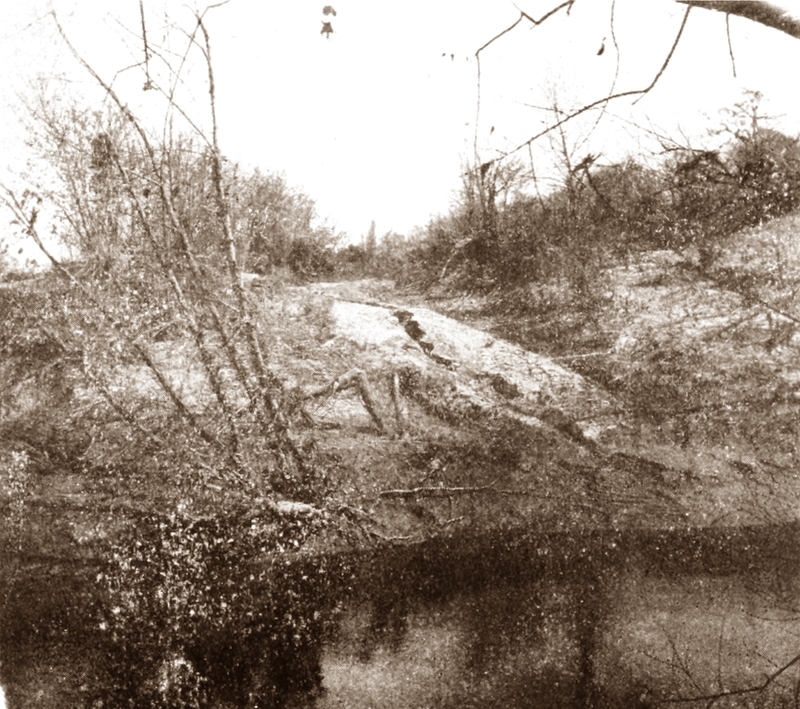 Photo taken over 100 years ago of Byram’s Ford Road approaching east bank of Big Blue River (from The Battle of Westport by Jenkins). 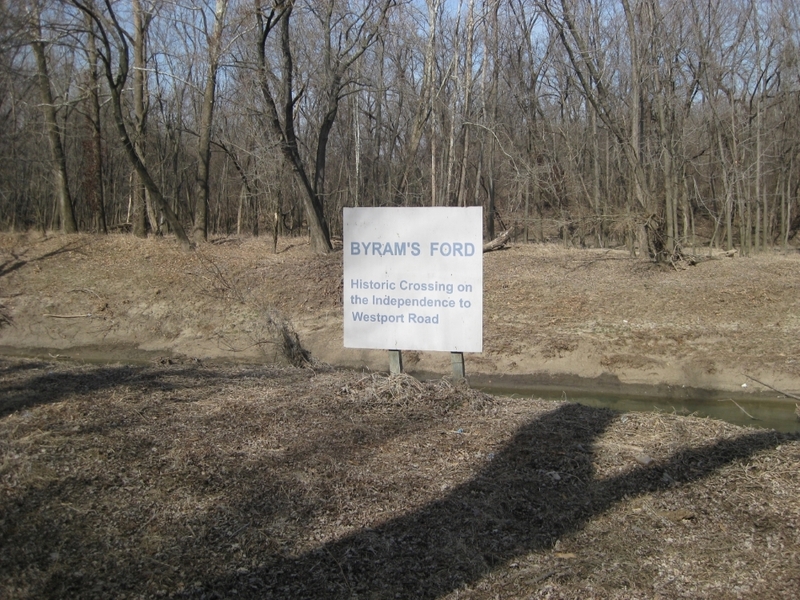 Sign marking the location of Byram’s Ford on the west bank of the Big Blue River. 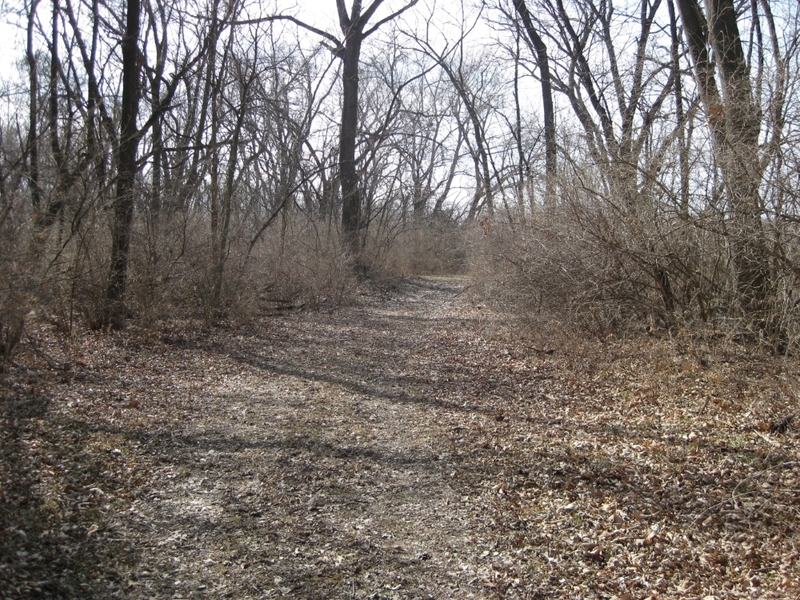 View on Byram’s Ford Road walking down to the west bank of the Big Blue River. Byram’s Ford Road winding away from the west bank of the Big Blue River.